IBM Q is an industry-first initiative to build universal quantum computers for business and science. 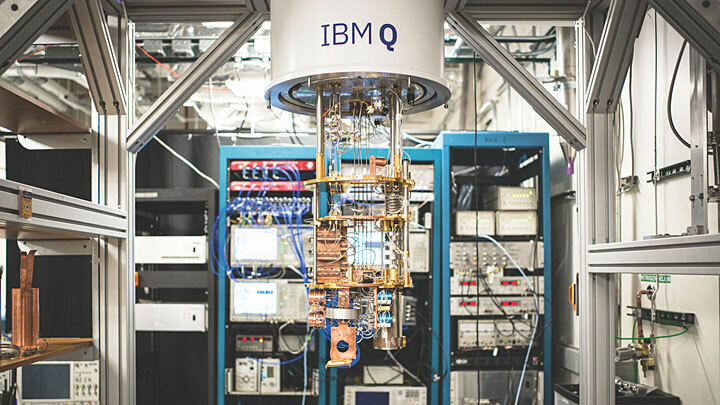 A worldwide network representing industry, government, and academia uses IBM Q technology and collaborates with IBM Research to advance quantum computing. Brookhaven Lab joined this network as a member of the IBM Q Network Hub at Oak Ridge National Lab in March 2019. Credit: IBM.10 Apr 2019 Upton - The U.S. Department of Energy's (DOE) Brookhaven National Laboratory has joined the IBM Q Network Hub at DOE's Oak Ridge National Laboratory. This hub is part of an international community of Fortune 500 companies, startups, universities, and research labs that is working with IBM to advance quantum computing and explore its practical applications. Quantum computers show promise to solve real-world problems that are intractable for today's computers to solve alone; however, realizing this benefit will require significant research and development. The IBM Q Network was formed to accelerate these efforts by providing organisations with access to IBM's commercial quantum hardware via the cloud; quantum software tools, libraries, and applications; the expertise of IBM scientists, engineers, and consultants; and a global quantum computing community. "Data-driven discovery is foundational to Brookhaven Lab's mission, and the Computational Science Initiative (CSI) underpins its computer science and applied mathematics research", stated CSI Director Kerstin Kleese van Dam. "By joining the IBM Q Hub at Oak Ridge, CSI is further enabled to chart a path toward potential quantum advantages for state-of-the-art machine learning, high-energy and nuclear physics, and materials science applications."